Offering Exclusive Christmas Lighting… We supply everything! 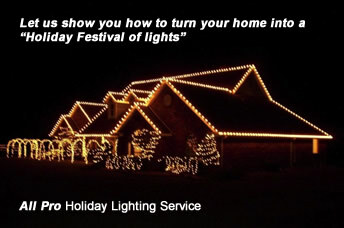 We Design, Install, Maintain and Takedown your Holiday Decorations. Don’t Forget to Get Your Windows and Gutters Cleaned in Time for the Holiday Season!